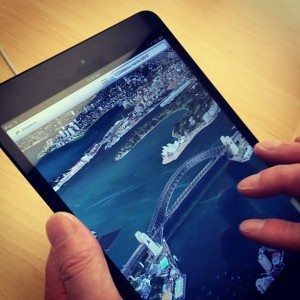 Best Road Trip Planners & Apps …Never Leave Home Without A Road Trip Planner! I love taking road trips, which is one reason why I’ve become quite fond of using a road trip planner on a frequent basis. I’m a member of the American Automobile Association (AAA) and grew up using TripTiks with my family whenever we’d hit the road for a vacation. I still use AAA Trip Tiks when I want a handy guidebook for how to get where I want to go when I’m on the road. However, there are also many free, online road trip planners these days, too. Whether you use a more traditional road trip planner like the AAA Trip Tiks or you prefer to use road trip planning websites, there are many great reasons to use these vacation tools before you take your next road trip. It’s important to find out how long of a travel distance there is between Point A and Point B. Most highways don’t travel in a straight line for very long distances, so if you want an accurate way to tell how long your road trip is going to be in terms of miles on the road, you’ll need to use a more sophisticated distance calculator. 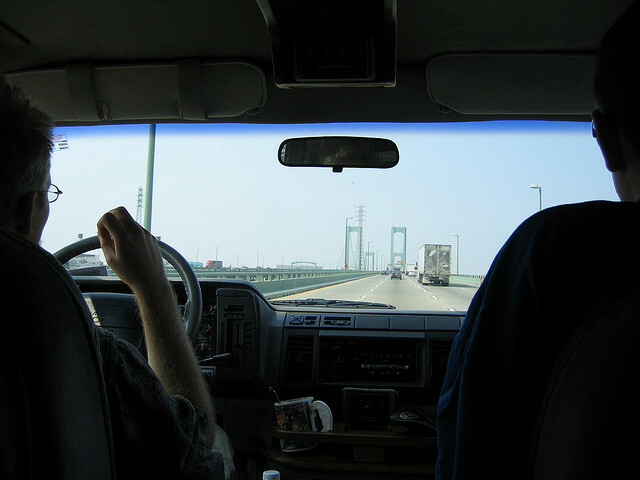 Many online road trip planners offer free driving distance calculators on their websites. Whether you’re traveling solo or taking a road trip with your family or friends, you’ll want to make sure you’re putting up in a decent motel or hotel along the way. Usually, I don’t travel for more than 12 to 14 hours without staying somewhere overnight. That means I can usually log in somewhere between 600 and 800 miles in a single day, if I drive normal highway speeds and stop only a few times for gas and snacks or meals. Pulling off at any lodging facility when you feel like it may work when it’s not a peak traveling season or if the group of people traveling with you is small. 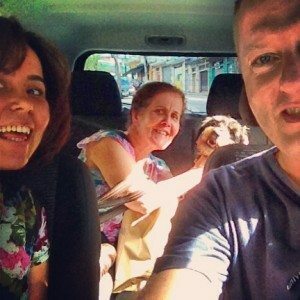 But if it’s a holiday season, you’re traveling with pets, or you’ve got a large posse with you, it will be very important for you to know what motels and hotels have availability and can accommodate you and your needs. Many road trip planners allow you to check the lodging options along your route — so you can call ahead or get online info about these places ahead of time. That way, you can find out which places have vacancy, allow you to smoke (if you do), or are pet friendly. If you’re trying to save money like I am (aren’t we all these days, though? 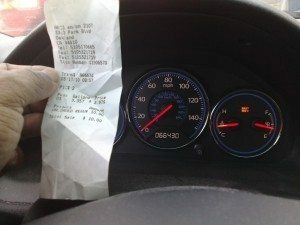 ), then knowing where the cheapest gas is will help you pinch enough pennies to enjoy spending them on other parts of your road trip. Some road trip planners display gas prices along your route to help you find where the cheap gas is. Some people think all the fun is in arriving at their destinations, but I happen to enjoy the journey, too. 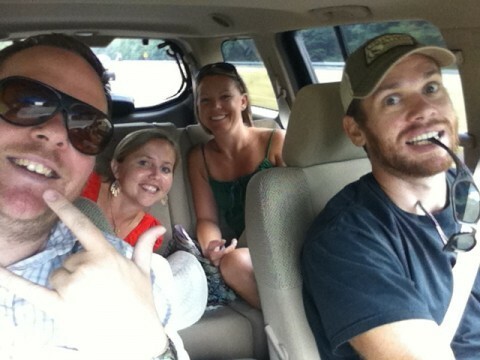 In fact, sometimes the journey can be just as much fun as the destination. That’s one reason I like road tripping — because you can stop along the way and see the proverbial World’s Biggest Ball of Yarn. 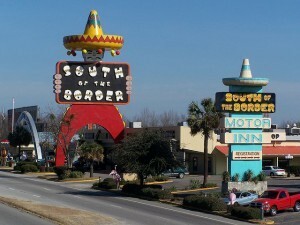 I like fun, kitchy places like South of the Border, a post-World War II, Mexican-themed, neon-lit mecca for road travelers that’s located in Dillon, South Carolina, along I-95 and US 301, right near the state’s border with North Carolina. A road trip planner can help you find these fun and amusing side stops that are right along (or very close to) your route. Just like you’ve got to put gasoline in your car to help you get to your destination, you’ve got to put fuel in your body to keep you going while you’re road tripping. There are all kinds of fantastic options for dining on the road — from old-fashioned diners to classic fast-food restaurants, to 5-star dining experiences. Many road trip planners can help you find restaurants along your route. Some will even help you search for particular types of restaurants. No matter where you decide to get your grub, don’t forget to tip your server well — especially if he or she finds out that you’re traveling and offers local knowledge and suggestions that can help you enjoy your journey even more!